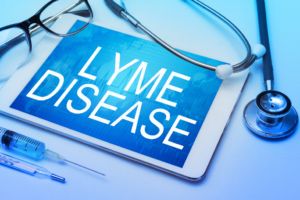 The month of May is dedicated to Lyme Disease awareness, which is estimated to affect at least 30,000 people each year according to the Centers for Disease Control and Prevention (CDC). It is believed that more than 300,000 people annually are infected with the tickborne illness because most cases are not reported to the CDC. A simple tick bite can lead to a wide range of general health symptoms, such as fatigue, headaches, swelling of the limbs, and a rash. Although many tend to focus on reducing symptoms and improving the quality of life for those who are infected, there is another factor that is often overlooked—dental health. Lyme disease can cause complications in your mouth. As a result, your dentist in Lenexa can play an influential role in restoring your well-being.